The Contact page is where you can Manage PINs and Pickups. The Manage PIN button allows you to enter a new PIN or delete the current PIN. 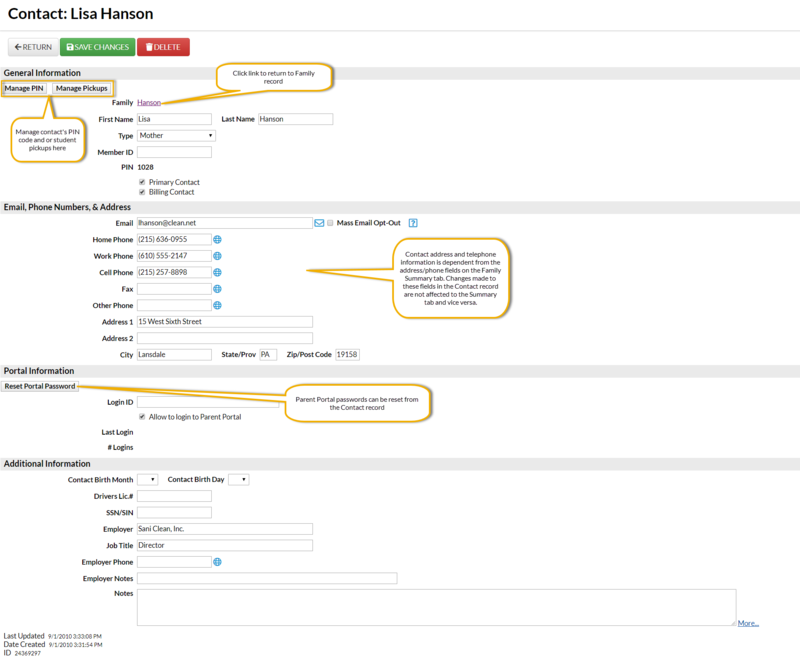 The Manage Pickups button allows you to determine which students the contact is authorized to pickup with their PIN. See Split Family Billing and Agency Billing Setup Best Practice article for information on setting up split billing between multiple parties. See Multiple Cards Per Family for information on how to process a different credit card within a family. Changing a Family Address (on the Family Summary page) does NOT change a contact's address on the Contact's page. Changing a contact's address must be done from the Contact page itself.